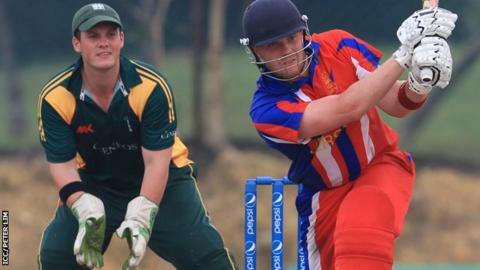 Guernsey have named their team for Saturday's inter-insular match against Jersey at Farmers Field. Uncapped quartet Jason Martin, Ollie Nightingale, Will Peatfield and Lucas Barker have all been named in the 12-man squad. "We are continuing the theme of getting the new guys involved," director of cricket Nic Pothas told BBC Radio Guernsey. "It has a ceiling but we are getting much more closer to a settled team." The island side have lost the last two annual meetings between the teams and suffered a one-wicket loss when the two met in March in the World League Five in Malaysia. However, former Hampshire wicketkeeper-batsman Pothas believes Guernsey are capable of pulling what would be a shock win. "They are the favourites but if we put a good performance together it will be a pretty even battle," he said. "We're 18 months into a process they're four years down the line with but we are catching up fast. "Last time they won by one wicket and we actually played all the cricket and fell at the last hurdle."